A new report has been published. What has it found? The Environment Court is currently hearing an appeal by Waiheke Island residents against an Auckland Council’s consent for a marina at Kennedy Point on the southern coast of the island. 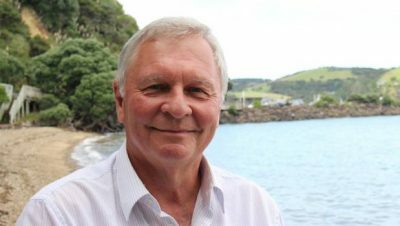 The community group, Save Kennedy Point (SKP), and island resident Ron Walden are campaigning to stop a 186-berth marina being built by Kennedy Point Boatharbour Limited. 700 people have expressed interest in a berth in the marina which would occupy 7.3 hectares of Putiki Bay, and would be “an asset to the local community” according to its backers. SKP has raised more than $200,000 from events and donations to pay for the legal battle against the marina. Plans for another marina at Matiatia on Waiheke Island were turned down in December 2015, after the community raised more than $430,000 to fight the development. A new entity Fisheries New Zealand will be created later this year. 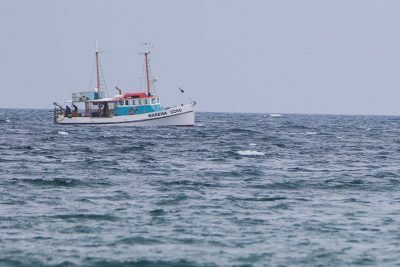 Ministry for Primary Industries says the organisational changes are intended to increase focus and ensure clarity and unity of purpose in fisheries management. 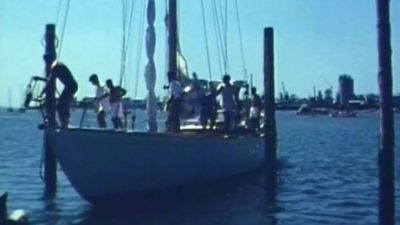 With TV One currently screening a remake of Islands of the Gulf, the Herald recently compiled a list of other archival films that capture the spirit of the life in the Gulf in the past. 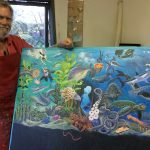 An art exhibition in Matakana has helped raise awareness of the threat of an oil spill from the wreck of the Niagara. 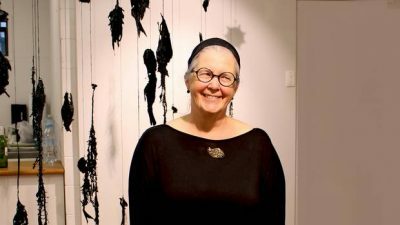 “Gold and Oil: The Legacy and Menace of the Niagara” was created by Artist Nicola Everett and featured in the Mangawhai Artists Gallery through February. An unknown amount of oil may remain in the WW2 wreck which lies in 120 metres of water off the Hen and Chicken Island. 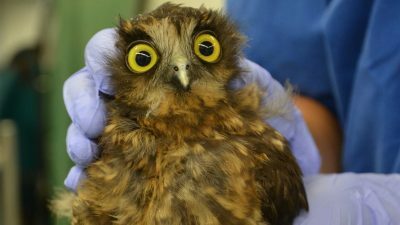 Auckland Zoo has patched up a young ruru/morepork who chipped its beak learning to fly and returned it home to Rotoroa Island. It was found huddled in a corner of the island’s visitor centre deck near large cavity ridden trees ruru like to roost and nest in. Ruru have a hook at the end of their beaks to pull apart meat from prey like mice and break through the hard exoskeleton of bugs, without which they are destined to starve. After a six weeks convalescence, initially being hand-fed small pieces of meat, the beak healed and with flying lessons completed at the zoo, the ruru was returned to Rotoroa. Motu Kaikoura off Great Barrier Island has a new lodge, created by Strachan Group Architects and installed by Architecture+Women•NZ. 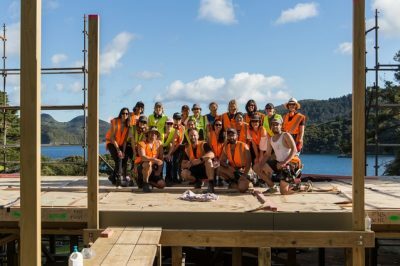 The process of prefabricating the hut in a workshop in Kingsland for transport and assembly to Kaikoura Island as part of a 20-week course involving 16 practicing architects and architectural graduates is documented in Architecture Now. 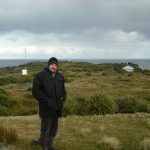 Tiritiri Matangi was put on high alert in early January after rat tracks were detected on the island sanctuary, home to kiwi, takahe and tuatara among other protected wildlife. Two pest detection dogs were deployed to sniff out the rodent and the Department of Conservation deployed an additional 50 traps and 60 extra tracking tunnels. 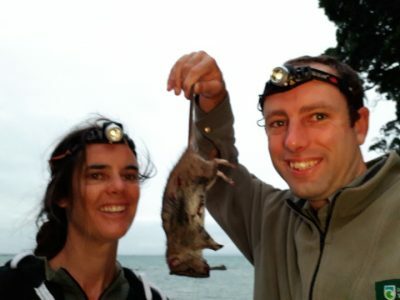 The rat was finally trapped and instantly killed in a DOC 200 trap on Friday 26 January. Later in the month members of the public have reported seeing a black cat on the Islington Bay near the causeway between Rangitoto and Motutapu islands, which have been free of cats, rats, possums and mice since 2011. Motion-sensitive cameras, cat-tracking devices and traps were deployed, along with conservation dogs, trained to detect cats, but the operation was scaled back after 10 days when no activity was detected. 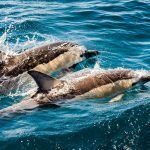 DOC is calling for boaties to be especially vigilant about biosecurity measures when visiting the Hauraki Gulf islands and to leave their pets at home. Auckland Council’s new Safeswim initiative is receiving plenty of attention as Aucklanders get used to receiving real time information on the state of their local beaches. An iconic Auckland ocean swim is moving locations for the first time in 14 years due to frequent “red readings” at beaches on the city’s North Shore. 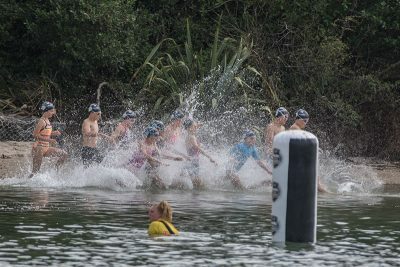 Organisers of the “King of the Bays” event have moved the swimming races from Milford beach to Devonport. Spinoff recently created a “cheatsheet” to explain what the new system means. And marine scientist Andrew Jeffs explains the reasons for a sudden increase in the sewage pollution notices. Meanwhile, the Waikato Regional Council has re-activated a water quality monitoring programme at seven east coast and two west coast beaches, testing to see whether faecal bacterial levels are within suitable levels for contact recreation, such as swimming and surfing. The latest results can be found here.